Hi Emlid Team, The point stake out feature works fine for me. My only problem is that I can´t improve the 2 mts accuracy for revisiting the same point. Any suggestions for this? Cheers! How did you place the base station? Did you average its position or mount it over a known point? Could you please post here your base and rover simple system reports? I don’t think it really matters the way the base was established unless you left the site and have revisited. I do like known points and manual coordinates though. If you do average then set a point and screenshot the coordinates so you can plug them in if you revisit. If you are talking about one setup then you will want to pay attention to the Status page signal-to-noise graph. More constellations does not necessarily mean better if some of them have a fair amount of interference. Some people run with one constellation, I like two or I don’t really trust my survey. Allot of people on here post-process which is great in the end, but it doesn’t do a whole lot for your confidence while in the field. Where are you on planet Earth? My typical is GPS/GLONASS/Galileo/SBAS with 18kb airspeed. I watch the graph after the base has been sitting for at least 10 minutes and will adjust my constellation grouping to remove any highly fluctuating or consistently low values. 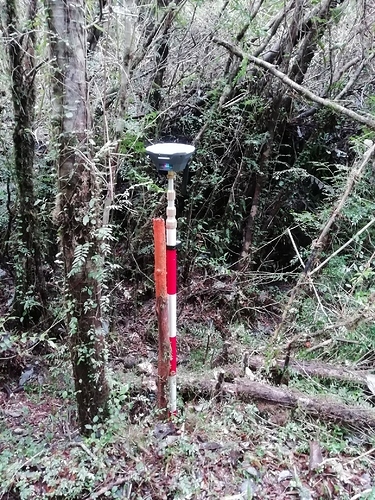 Hi, I averaged its position, I have no access to known points because the survey is in a dense vegetation área. For this reason, I also have to constantly be moving the base for having a float solution. Any other suggestion for better field results? I´m running 2 constellations GPS/GLONASS with 9,11 kb airspeed. Looking at the image of your rover on the monopole, is seems to be telescopic to maybe 4 metres? Perhaps try to Extend your rover pole height for a better Sky view and better reception of LoRa correction from base. It seems as though you are observing QZSS. If you’re not somewhere in AsiaPacific region I think it will not help. I used the pole even with 4,9 mts and had same float solution with 2 mts accuracy for stakeout revisiting. Yes, I had my base static. I left to default settings, thought that with no reception it just won’t use those satellites. Here in Chile we usually have good GPS and GLONASS reception. 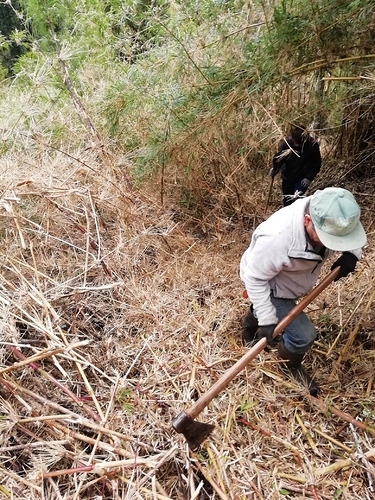 Funny the "fix story…yes, I know is not broken, but having a fix solution in dense vegetation seems almost impossible. 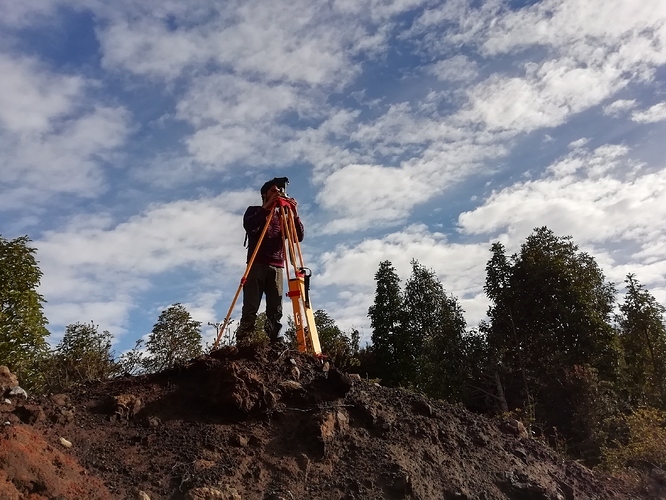 I´m doing all the stakeout with float solution, when it changes to a single solution I have to go all the way back to the base and move it uphill, the property is 70 hectares of volcanic geography, the mountain itself and the vegetation make it hard for LoRa communication between devices. Thanks, I´m making some field tests with known points to confirm stakeout accuracy! I improved my accuracy. After some testing, here in Chile, I had the best results with only GPS and GLONASS at 5Hz (unchecked SBAS, QZSS and BEIDOU) leaving only 1002, 1006 and 1010 RTCM3 messages on. The only problem is when working in dense vegetation areas, I managed to manually set my base at a known point, from this base setup I go as far as I can with my rover (which has usually only float, not fix solution) and record that point for manually setting my base at this new “rover known” point. From this point, I repeat the same procedure clearing some sky view for mounting the base. Some colleagues say that only DGPS is appropriate for dense vegetation, others that RTK also does the job, others that only visual traditional topography tools. What has been your experience for this difficult geography or vegetation scenarios? Do you trust in RTK for this kind of surveys? Should I improve my antenna? Thanks for the help, besides this job my reachRS+ system has been working perfectly. I am interested to hear what the forum thinks about DGPS, but in my experience it hasn’t been accurate enough for me to trust traversing a base. 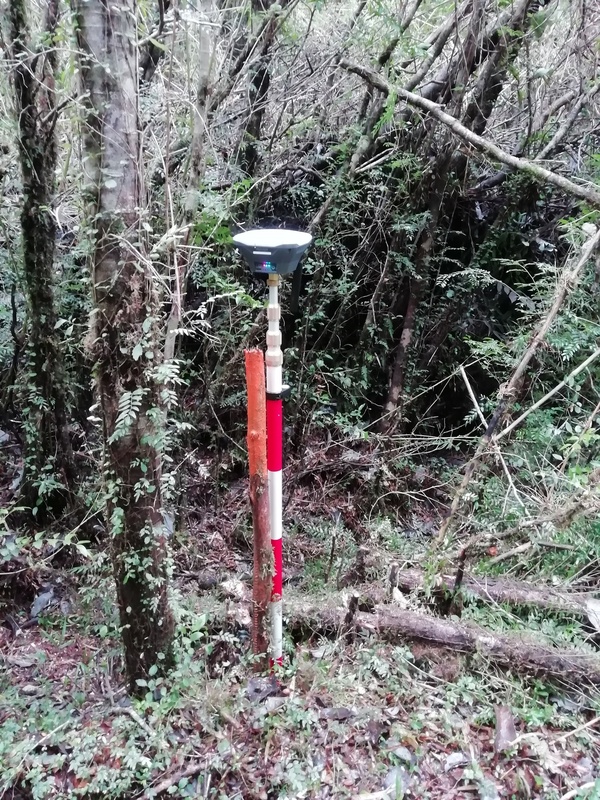 The only true solution for dense vegetation that I have found is UHF (450mhz). Could you please tell me more about your UHF solution? How could you adapt it with the ReachRS+ System? Which would be a good quality/price solution? Thanks! Any other dense vegetation survey warrior experience in the forum? DGPS as in Differential GPS, or something else ? Differential meaning RTK, so a bit confused about the terminology here ? I’ve seen UHF radios misrepresented on here before so I want to make sure I clarify I am talking the low-band 400mhz ranged variety. The much lower frequency is allot better at penetrating vegetation. From what I have seen the RS+ receivers run the 900mhz spread-spectrum protocol. Unfortunately the only true UHF radios I know of are the more expensive survey-grade receivers. If you search around you can find a used kit for around $10k. Otherwise, make sure you are configured with the lowest frequency. I think it’s 862mhz. "The difference in the accuracy of DGPS versus RTK is how each calculates position using the same GPS signal. The GPS signal from a satellite transmits Pseudo Random Code (PRC). Since the receiver receives the PRC from multiple satellites, it can align the received code to its own and calculate the propagation delay. Since the receiver also knows the position of the satellite, it can calculate the distance to the satellite. Once the receiver knows its distance (range) from four satellites, it knows its 3dimensional position on earth. This is referred to as code based positioning and is what DGPS uses for its underlying position calculations. RTK uses carrierbased ranging for its underlying position information, which can provide range values that are orders of magnitude more precise than codebased positioning. The range is calculated by determining the number of carrier cycles between the receiver and satellite and then multiplied by the wavelength of the carrier signal. Not all GPS satellites transmit on the same frequency; if several frequencies are used to determine the position, the error of atmospheric delays and multipath propagation of the signal are minimized." Looking at your info in responses to both me and Tatiana, I can see that you’re depending on float for determining the coordinates of your stakeout points, and also for the new location of your base, when traversing across your volcanic, rainforest landscape. I do not trust coords at all, when the device is in float mode. I would not expect them to be reliable or repeatable to the sorts of survey accuracy we’re all interested in. Therefore I am not suprised that your points are only repeatable to 2m. To improve on this, you do need to get to a fix solution for each of your stakeout points and your traverse points. As to how you can get to a fix in that challenging environment - I don’t think I can provide advice from the other side of the Pacific! Equally, with the config settings for your base and rover, I’m not all that familiar with the report formats, and I see that you report to Tatiana that you have a good experience with the Emlid gear from all your other jobs. Therefore I’m reluctant to provide you specific advice on your settings, based on what I interpret them to be from the reports, because I figure with your past experience, you already know what you’re doing. However, I will mention one last thing: whenever I have trouble getting a fix, I usually go to the settings page (click on the cog wheel icon) and restore each unit (both base and rover) to default settings and start my unit config again, just to make sure I’m not overlooking a setting somewhere which could impact on my successful use of the units - that’s helped me out a couple of times in the past. It’s good news that the accuracy is improved. As Alistair said, it’s better to survey with Fix solution, it affects the accuracy a lot. Try to raise the rover unit as high as possible. The more view of the sky Reach has, the better. You also can try to vary Elevation and SNR masks angles. Maybe it allows excluding satellites with a poor signal that affect the solution badly. Yes, please do try a elevation mask of 15 or more in thick woods.